Buenos días, como andan todos? We have a new investigator, Mxxx, who is AWESOME! She is the daughter in law of a member in our branch (well, not technically, because they aren't married, but basically). Some elders were teaching her before, but her parents are evangelical pastors and basically threw the elders out of the house. She now lives with her boyfriend, Exxx, who is the son of Hna. Vazquez, and they have a little wooden house where we go and teach them. This week we left Mxxx the invitation to read the Book of Mormon on Thursday, and on Friday (the next day) we went back to follow up, and she had already read the introduction and the first four chapters! What's more, she retained everything, and retold us the story with detail, down to the names of the sons of Lehi and the details of Lehi's vision! We were blown away. She is ready to be baptized already, but she and Exxx need to get married. She is all for it, but Exxx is a little worried about it, but he knows they need to get married. We are hoping we can help them get married so that Mxx can be baptized! She also went to church on Sunday! She is awesome. 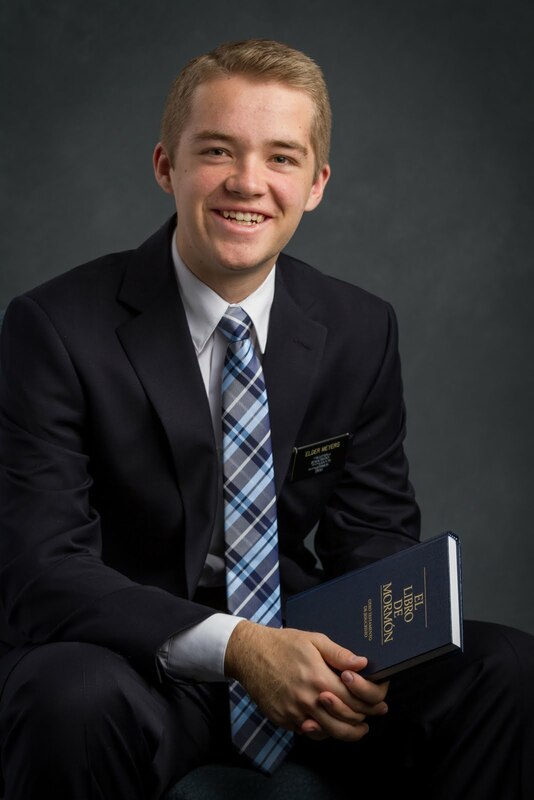 Well, I'm out of time, but I just want you all to know that I love this gospel, and I love being a missionary! The church is true, and the Lord's work is the greatest work of all. In it, we achieve the greatest achievements and experience the greatest joy. What a great blessing it is that the Lord allows us to take such an important and pivotal role in His work, no matter where we are! Jesus is the Christ, He is our Savior, and He will come again. May we all prepare our brothers and sisters for His Second Coming! Last transfer, while we were in the bus terminal, we randomly ran into this girl from California who was doing some tourism. She knew the missionaries because she has some family that are members, and the missionaries go to her house sometimes. It was so weird to talk in English. Our mission prep class! They are so awesome. We had a service project this last week with the young men. We were going to paint some outside walls of an elementary school, but this crazy storm came out of nowhere, and we couldn't paint because we knew rain was coming, so we pruned the bushes and cleaned up all the garbage instead, and we will paint some other time.